3D cone beam imaging produces the same kind of high-quality images as a CAT scan, but it does so with less radiation. And not only does this technology provide a more thorough study of your case from every angle, but the original scan data can be quickly duplicated, so we can easily forward information to different specialists if necessary. Finally, the data is stored on computer, so there’s no film that could get lost. 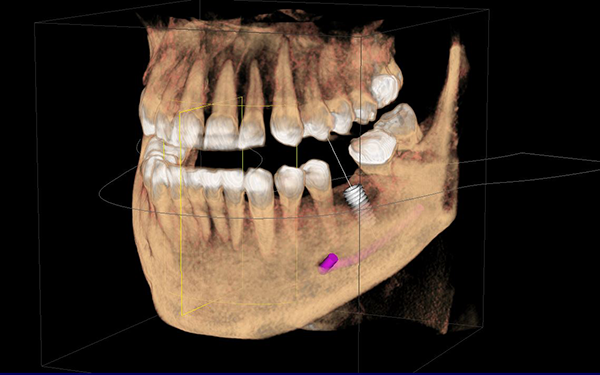 For Ephraim Family Dental, the XG3D system’s complete information is a vital component of the quality care we provide. As a patient, you will have greater confidence in our evaluation of your case and more satisfaction from your treatment. Copyright © 2019 EphraimDental.com • All Rights Reserved.